A great classically styled shirt with retro inspired white piping. 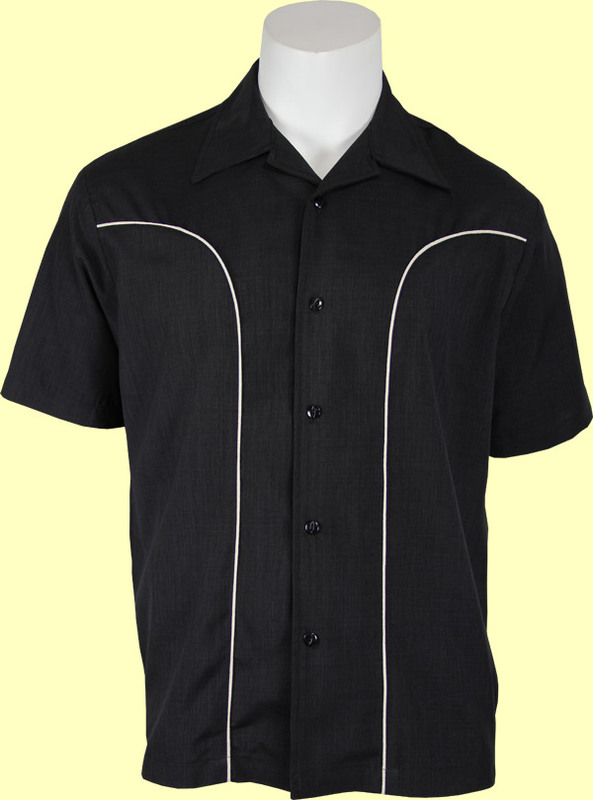 The body of the shirt is classic black and features white piping on the front. This is a nice lightweight shirt with a great look.